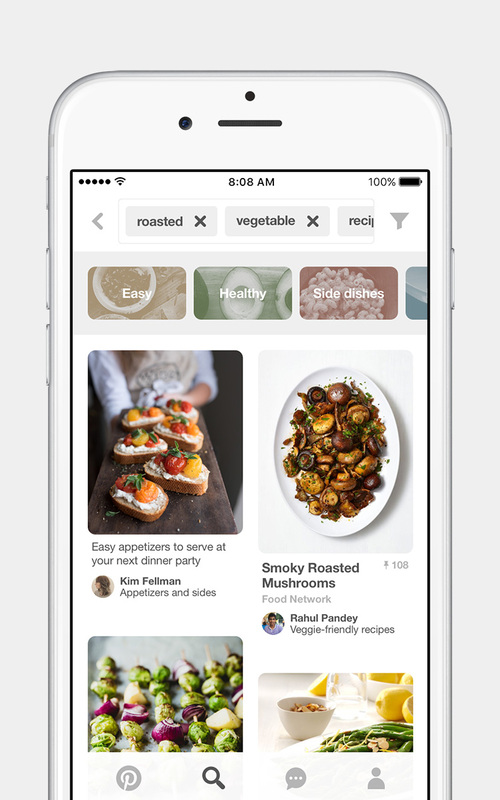 Pinterest sees itself as 'a catalog of ideas'. 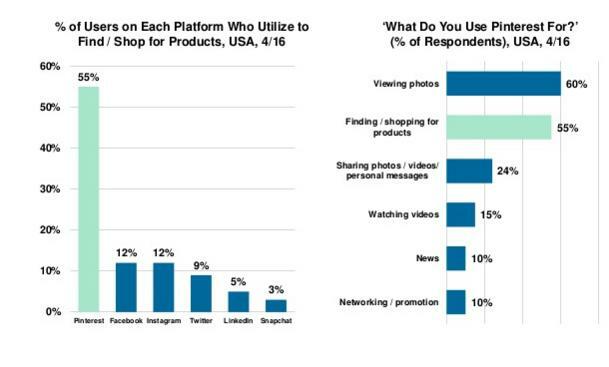 The visual app, which is putting big bets on its eCommerce capabilities, has surged ahead of other social platforms in terms of purchase intent and shopping potential - take a look at this graph from the latest Mary Meeker Internet Trends report. Stats like that have caught the attention of a heap of brands, and with 75% of all saved Pins coming from business profiles, it's clear that Pinterest users are increasingly coming to find ideas for their next purchase. But in order for businesses to maximize that interest, they need to first get an understanding of how Pinterest works and how people discover content on the platform. And that can be difficult - Pinterest's search functionality doesn't necessarily work using the same logic as Google does, for example. Underlining this, Pinterest has released a new blog post announcing that the platform is now facilitating more than 2 billion searches every month. And as part of the announcement, Pinterest's Engineering Manager Naveen Gavini has also outlined some additional details as to how Pinterest's search works - notes which could help marketers develop a better Pin strategy. "Search engines have always been great for answering questions that have one simple answer ("Who played Rey in The Force Awakens?"). But when you're looking for something with more than one possible answer ("what should we make for dinner? "), they aren't nearly as helpful." This is the type of query Pinterest wants to help answer - the example Gavini uses is "kid party ideas". Type this into Pinterest search bar and Pinterest's 'Guided Search' will help "find your way to the perfect theme, invite, favors, decorations and cake". This is where Pinterest search differs from common search process - rather than seeking to find you the top, most relevant answer, Pinterest wants to help show you ideas around that theme. As such, the suggestions that Guided Search provides are based on all the other searches people have tried in relation to that query. That's similar to Google's auto-suggest options, but as noted by Gavini - "unlike regular search engines, which are powered by robots, Pinterest is powered by people and the ideas they hand select." "Over 100 million people around the world have already saved 75 billion ideas [on Pinterest]. With so many millions of overlapping tastes and interests to draw on, Pinterest has the best "people who love X, also love Y" ideas you'll find anywhere." Given this, it's important for brands looking to perform better on Pinterest that they develop an understanding of not only which keywords they need to use, but what topics other people on Pinterest are also looking for in relation to those terms. 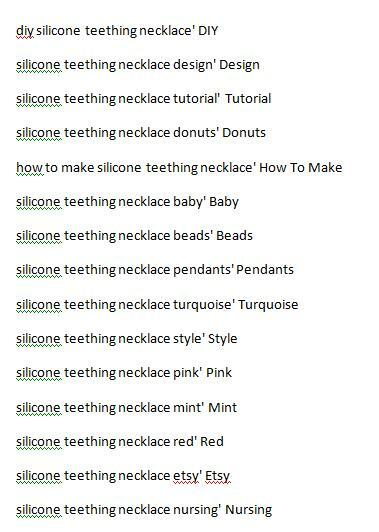 So, for example, say you sell kid-safe necklaces for Moms - you'd start by taking your list of target keywords that you'd established for your website and entering each into Pinterest's search bar. You can then get an understanding of the other terms Pinners commonly use to find relevant items in your category - click through on any of the additional qualifiers that relate to your business. And you'll get further insight into the clusters of topics related to your brand. From this, what you want to do is create a list of the most common terms in each related query. So, for example, in my two searches above, I can see that 'DIY' is common to both - if that term is common among all the terms related to my business, then it's a keyword I should probably consider in my Pinterest marketing. It's actually possible to get a complete listing of all the related terms Guided Search has for your target keyword/s - if you select all the listed suggestions and drag across to the right of your screen, you'll actually be selecting not only the suggestions that are visible, but all the ones off screen as well (Clay Cazier has written an excellent guide on how to do this here). Once you've highlighted the terms, you can paste them as text into a Word file (or paste them into Notepad to convert them to text, then into a Word doc if your version of Word is older). The initial list will be a mess of text, so you need to convert them into a list by pressing CTRL H for 'Find and Replace' then using this command. You can clean it up further than this (again, I'd refer to Cazier's post), but you go through this process for as many of your Guided Search results as you can and you'll eventually be able to put together a listing of relevant keywords based on volume, essentially showing you which terms are most relevant to Pinners looking for your products. Once you have this, you can use the most common terms in your Pin descriptions and boards - you don't want to stuff your descriptions with keywords, particularly as better performing Pins will (theoretically) show up higher in the search results, but including the relevant terms, in context, will help improve your on-platform discoverability. Also, don't use hashtags. Hashtags serve no purpose on Pinterest, and they may actually even hurt your Pinterest search results. Gavini also notes that Pinterest has made significant improvements to their local search results, meaning that Pinners are now 3X more likely to see local ideas in their search results and related Pins, which is a another key consideration for those looking to maximize their Pinterest search performance. 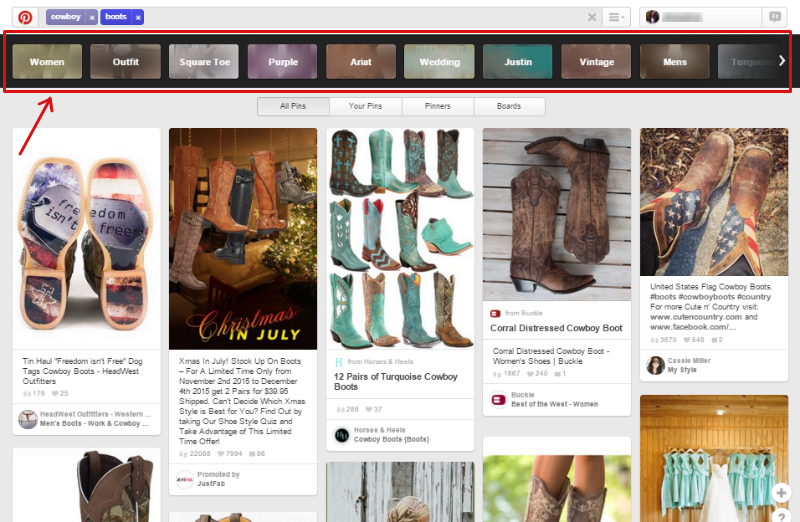 And the other Pinterest search element that's seeing good response? Their recently released visual search capability, which enables users to search for similar Pins by highlighting an item within a Pin image. 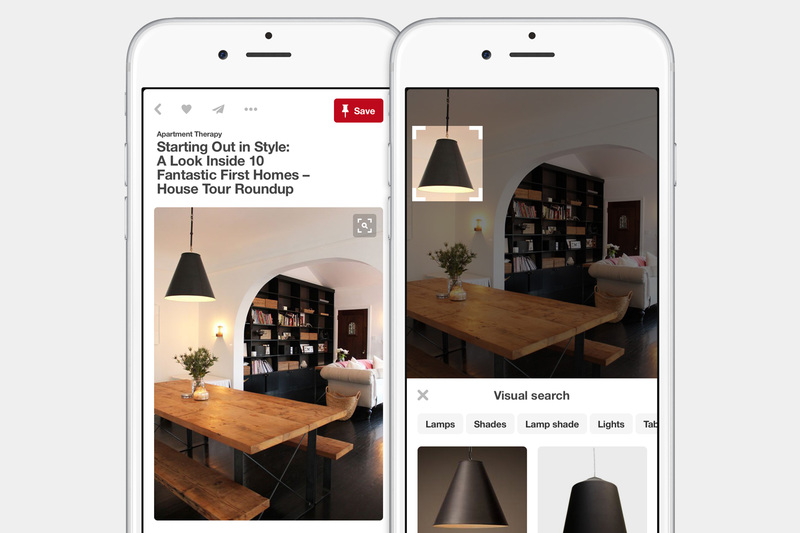 "There are already 130 million visual searches on Pinterest every month, with furniture, home decor and style ideas being the most popular things people are searching for-here's a sampling of Pins with most visual searches." Pinterest is an interesting platform, not only because of its aforementioned high purchase intent, but also because of the way it works, particularly in relation to search and discovery. The emphasis on discovery over designated results makes it harder to "game" the system or establish a strategy that'll ensure you rank high in all related searches, but there are measures, like those noted above, that can help boost your performance on the platform and improve your results. But really, the best way to win at Pinterest is to get involved and engage with the community, really learn what works and resonates on the platform. It takes more time to do this, of course, but the more effort you put into getting an understanding of audience behaviors and interests, the easier it will be to see the connections between what you sell and what Pinners are looking for. And given the focus on discovery, you may just come up with some new ideas for products and promotions in the process.